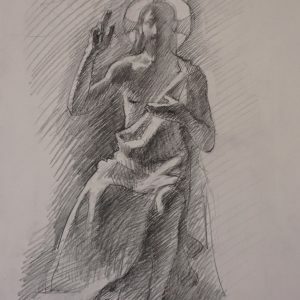 Partially drawn from a live model, this was a key figure for a 2016 altarpiece design proposal. 2016. 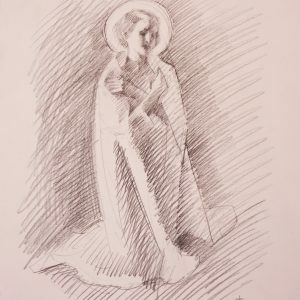 Graphite on cream drawing paper. 9 in x 12 in. Framing options available upon request. International patrons please note: Original artwork is duty-free, but many countries impose VAT or other taxes. These costs are not included in the product price or shipping price, and, if levied by a customs agent, must be paid by the purchaser. 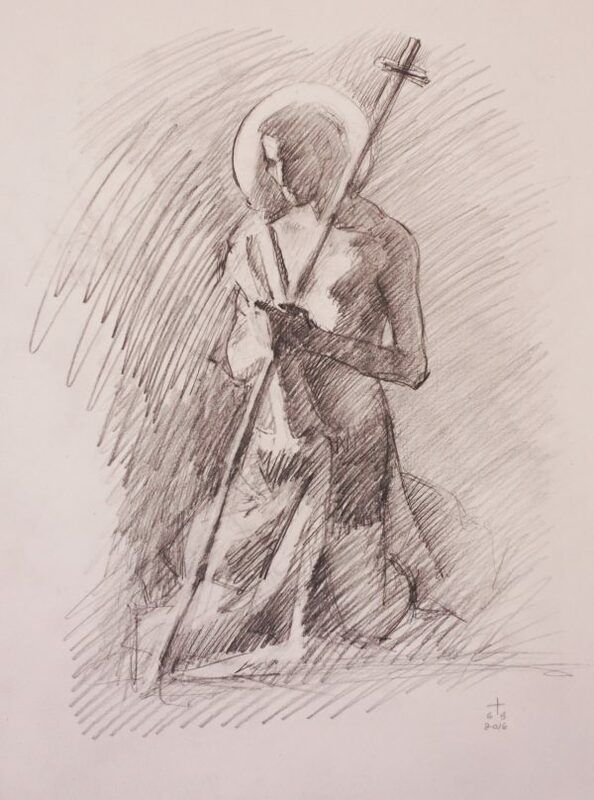 Partially drawn from a live model, this was the central figure for a 2016 altarpiece design proposal. 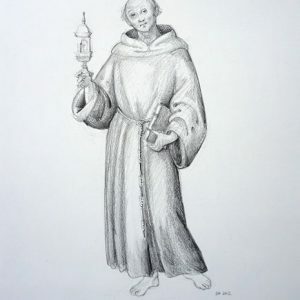 Study of Pietro Perugino’s Beato Giacomo della Marca.